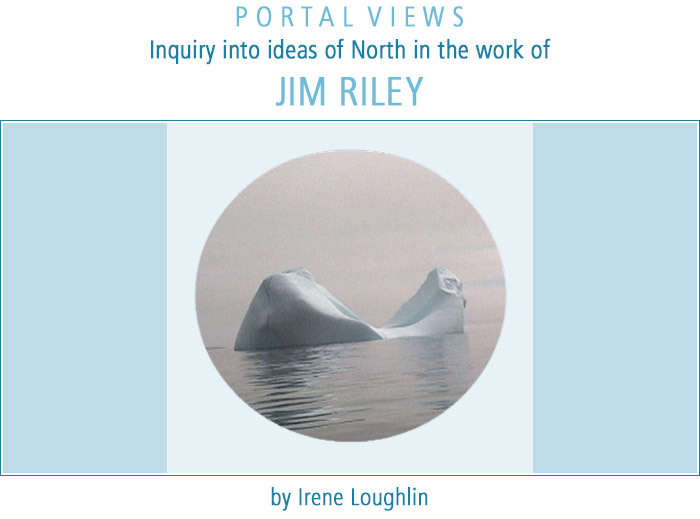 Viewed through a consistent circular frame, Jim Riley's work offers windows into the world of North. Constructed as if viewed through a periscope or binoculars, his compositions recall Alex Colville's iconic Canadian painting "To Prince Edward Island", where the landscape surveyed by a woman with binoculars is reflected back at the viewer and creates a distancing effect. In Riley's work, however, we are offered an intimate, interior image of the periscope as if we were the surveyor of the unfolding landscape. We are invited to 'stand in' for the video artist and gain knowledge of the Arctic landscape (where few of us have actually ventured) from this direct position.